If a Greek Honeymoon is your dream, let Antelope Travel arrange your most special vacation. Whether you are getting married on one of our beautiful islands or coming over to honeymoon, we can help you plan your dream vacation. We know that this time is to be cherished and we attend to all details to make your honeymoon a time to never forget. Whether you want to stay in one place and relax or have a more active vacation, relaxing some days and travelling around the islands and sight seeing at other times we can help you plan to your exact needs. At Antelope Travel we have tailored packages to suit all of your dreams. 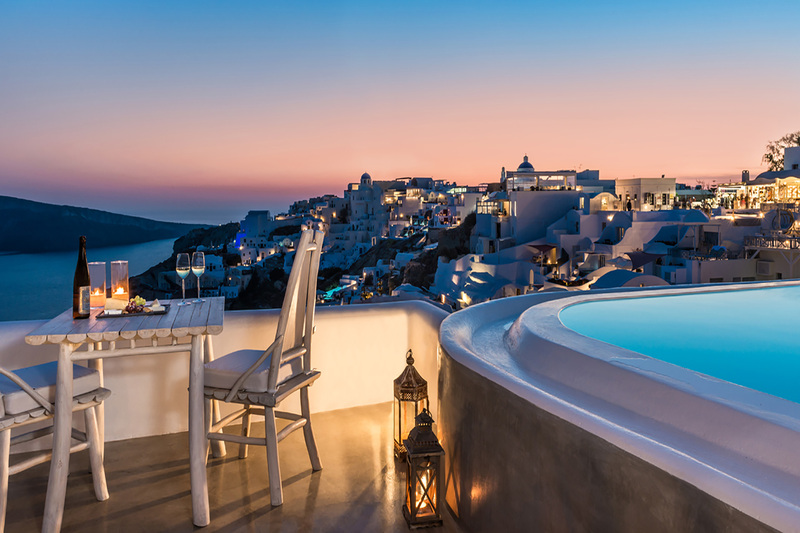 Our honeymoons on offer give you the best of Greece, taking you to exotic places like Santorini and Mykonos, letting you take in the view of the caldera and party into the night. Or you may choose to tour around taking in the cultural wonders of out nation. We not only offer you these set packages but we can tailor a trip to suit your time, budget and desires. We have access to the most luxurious resorts and hotels all over Greece, as well as other beautiful accommodation for those who want to get away from the tourist trail. Let Antelope Travel plan your honeymoon with all of the care and attention it deserves. No results found, please try different criteria.